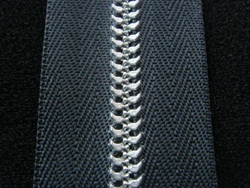 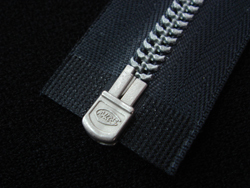 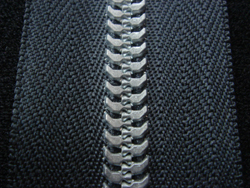 This zipper is a casting type, where the zinc die-cast melted at about 400 C on a tape is poured into a die. 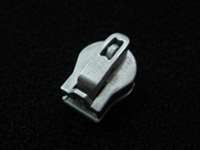 For 55Z, an ordinary slider cannot be used since the slider goes over the element to open and close. 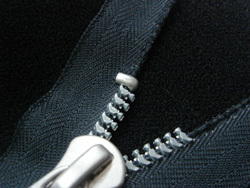 Therefore, a dedicated slider is required. 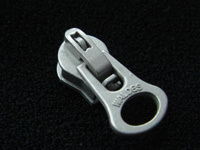 The WALDES Zipper No.5 pull can be integrated in a separate dedicated body 51CW. 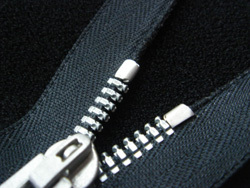 In this case, “Z” will be added at the start of the ID number. 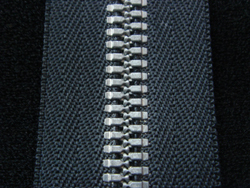 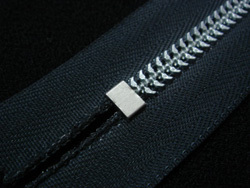 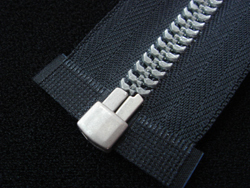 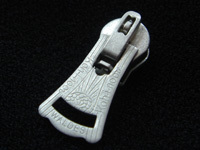 ※５ZH Corresponding slider：WALDES Zipper No.5 slider Available. 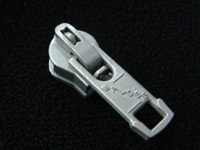 In addition, 55Z-only slideris alsoavailable. 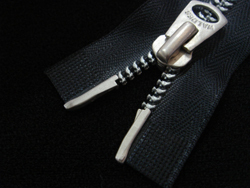 ※７ZH Corresponding slider：WALDES Zipper No.75　Available only 71ZH、71ZRA.